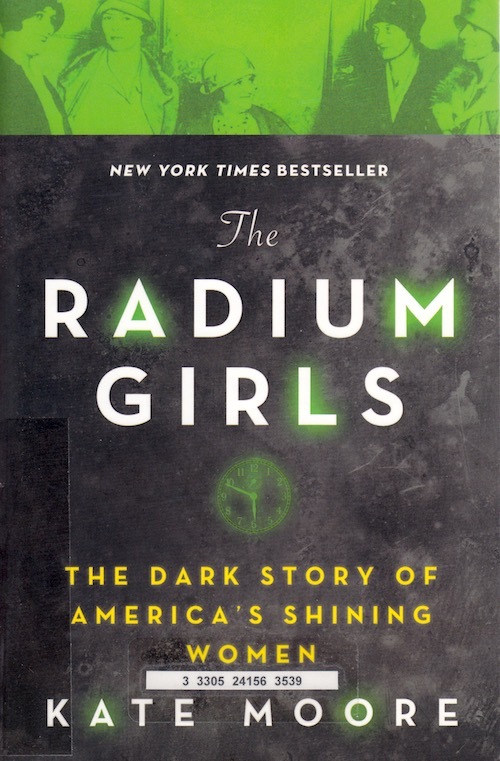 It’s not too strong to say that I hated The Radium Girls. Why? Well, let’s take a group of women who work painting glow-in-the-dark watchfaces before we really understood that Radiation Was Bad For You. Let’s get you emotionally invested, talk about the various mysterious ailments these young women were getting, and then gruesomely describe one’s death. Then, point made, the book should have moved on to show how women started mobilizing, protesting, fighting for their safety and OSHA rules. Nope. One group of women done with, let’s move on to the next and talk about their ailments and, I’m sure, another gruesome death. A quick scan through the rest of the book showed that that’s how the book works. I’m sure that an understanding of radiation’s negative effects starts percolating through and you do see more fighting, but I don’t need to read lots of descriptions about how much people suffered in the meantime. I really, really don’t.